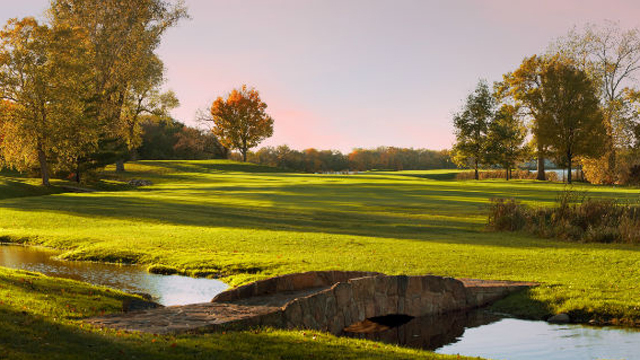 Considered by many to be the best private golf club in Minneapolis, the mission of the founders of Hazeltine was to build and maintain a golf course suitable for the conduct of national championships. An important part of the mission was to develop a membership that supported this concept – a membership that felt a responsibility to the game of golf and its rules and traditions. Similarly, it requires the highest standards of conduct by all members and guests as they play the game. Totton P. Heffelfinger, a former president of the United States Golf Association (USGA), wanted to create a golf club that would host major championships while providing a pure golf experience for its members. Hazeltine National Golf Club is the result of his quest. There were many twists and turns along the way, including financial difficulties and a long period through which it looked like the early success in achieving the mission of the club would not be repeated. Despite those trials, the members of Hazeltine persevered to produce a resumé of championships that is unmatched among clubs less than fifty years old. After early designs by another architect, Robert Trent Jones created a long and demanding layout to test the best players in golf. The course was opened for play in 1962. Over time, Jones modified many holes to adapt it to the needs of major championship play. 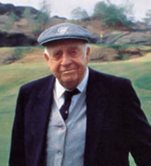 In advance of the 1991 U.S. Open Championship, his son Rees Jones made changes to the design, and he continues to work with the club to maintain the competitive standard that his father set forth. The first championship hosted by Hazeltine was the 1966 U.S. Women’s Open, won by Sandra Spuzich. In 1977, when the championship returned, Hollis Stacy won one of her six USGA titles by edging Nancy Lopez. In between, the 1970 U.S. Open was won in a commanding fashion by Tony Jacklin, the last Englishman to have earned the championship, until Justin Rose won in 2013. The difficulty of the Minnesota golf course and the windy conditions on the first day caused scores to soar, causing a backlash among some of the players. The events of that year set in motion a number of changes for the course. The public debut of those changes, including the now-famous sixteenth hole, occurred in 1983, when Billy Casper emerged victorious in the U.S. Senior Open. The success of that championship paved the way for the return of Hazeltine to the international golf scene. The culmination of that journey back was Payne Stewart’s celebrated playoff victory over Scott Simpson in the 1991 U.S. Open. In addition to rave reviews for the golf course, the innovations in championship operations and the financial results of the event set new standards for majors. Hazeltine has hosted many important amateur events, including the 1994 U.S. Mid-Amateur Championship, won by Tim Jackson; the 1999 NCAA Division I Men’s Golf Championship, captured by the University of Georgia (with Luke Donald of Northwestern taking the individual title); and the 2001 U.S. Men’s State Team Championship, won by the Minnesota team. In 2006, the U.S. Amateur Championship was held at Hazeltine for the first time, and Richie Ramsay defeated John Kelly 4&2 in the 36-hole final. Ramsay became the first Scot to win the title in more than a hundred years. The PGA of America brought the PGA Championship to Hazeltine in 2002, the first of three events that it will host at the course. Rich Beem won the championship by holding off a charging Tiger Woods, who birdied the last four holes. It was one of the most memorable finishes in championship history. In 2009 Hazeltine hosted the return of the PGA Championship. Y.E. Yang’s victory will go down in history as one of sport’s greatest upsets. The most notable aspect of it is that Yang did to Tiger Woods what Tiger has become famous for doing to everyone else. 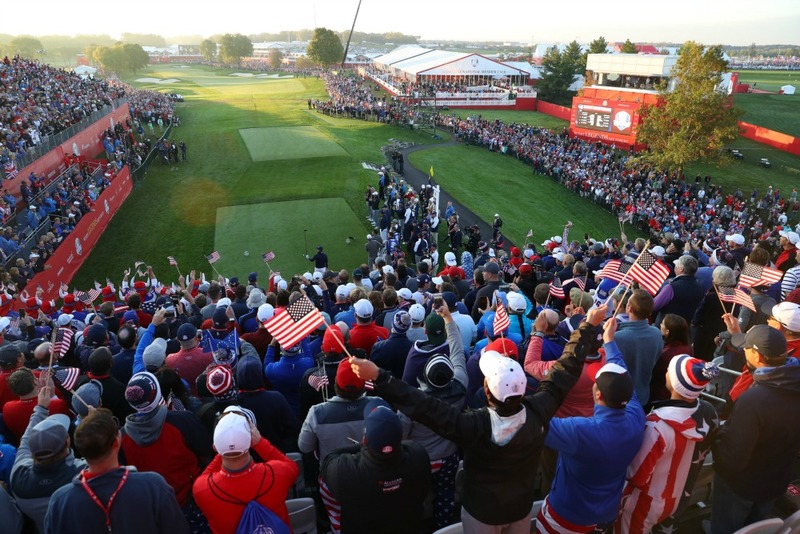 The premier event in international team competition, the Ryder Cup Matches, will elevate Minnesota golf again and be contested at Hazeltine in 2016.